Sister Rita Ma vie Sirois. She was born on February 2nd, 1920 in a small town of East Court Maine, by the bank of the River St. John, just across from Canada. She came from a strong Catholic family and is survived by three sisters and one brother from her immediate family and many nieces and nephews. After completing high school Rita Marie graduated as a hairdresser and beautician. Rita Marie entered the postulancy in Bedford, Mass. on July 31st, 1951 followed by novitiate at Lowell, Mass. She was professed on February 2nd, 1954 and arrived in Fiji on the cargo boat ‘Lakeba’ on April 15th of that year. Her first assignment was to Makogai as a physiotherapist where she lovingly cared for the patients with leprosy. In her eulogy, Sr Teresia Tinanisolo said that as a young girl she remembered watching Rita Marie trying to straighten the fingers of patients by dipping them into warm wax. In 1966, Sr Rita Marie’s missionary presence took a different direction and she began teacher training at Loreto Hall, Auckland, New Zealand. She graduated in December 1967 with a diploma in Sacred Theology and Catechetics. Her first teaching assignment was Stella Maris Primary School, Suva Point and in the years that followed taught at St. Joan of Arc primary school, Sigatoka, Wairiki primary school, Taveuni and Yat Sen Primary School in Suva. She loved the children she taught and continued even in her retirement years at Stella Maris with remedial work well and a program on Values Education. Although known as a disciplinarian she was much loved and respected by her pupils. As in everything she gave herself wholeheartedly to the children in her care and especially those requiring extra help. From her years of teaching she had some very old friends. It was always a joy for her when any of these friends or past pupils would visit her. She remembered them by name. Six of her former pupils were her pallbearers and a large number of past pupils and friends were present at her funeral. 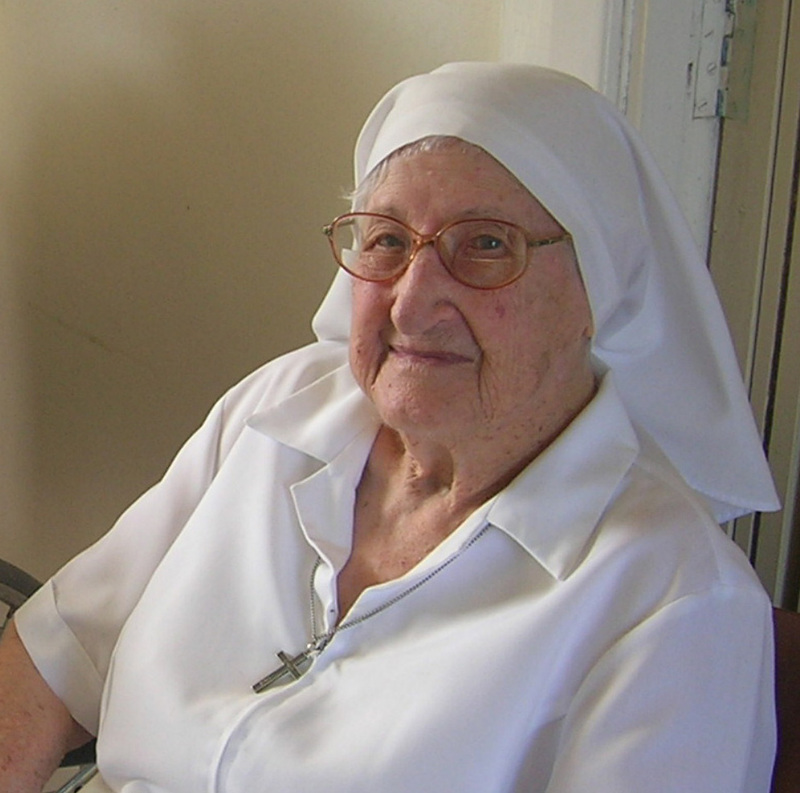 Sister Rita Marie loved Fiji and cherished her missionary vocation. Even though she was asked several times if she wanted to return to USA she chose to remain. She had made a life commitment to the people of Fiji and wanted to end her days among them. Her missionary outreach extended though beyond Fiji in the form of letter writing. In her heyday she was a prolific writer. In particular, her letters and news received by Fiji smsm abroad were very much appreciated by them. In February 2015 Rita Marie suffered a stroke which left her immobile and without speech. She was cared for as long as possible at St Mary’s by a team of dedicated caregivers but when this was no longer possible she had to be moved to the Home of Compassion. This rupture must have been a tremendous adjustment for her. SMSMs would visit faithfully most days and although she was not able to speak would nod her head and acknowledge their presence. On the whole though she was silent. No doubt those eighteen months of silence and waiting were a time of purification and preparation for entry into the fullness of life in the Kingdom which she had given her whole life to. Sister Rita Marie was a true Marist to the end. Her love for her Marist vocation was expressed in her quiet, discreet, gracious and hidden way of serving. Rita’s passing also represents the end of a long era of that first large wave of smsm missionary presence which contributed so much to the building up of the Church in Fiji. We give thanks for Sr Rita Marie’s life so faithfully lived. May she now rest in the joy and love of Jesus and Mary and those who have gone before her. We love you! NI SA MOCE!